Are you searching for the best subwoofer to give your music life, but so far not had any luck finding the best option for your needs? We have searched the marketplace to find the best subwoofers that are available to purchase today. This buyer’s guide will save you time. In addition, if you’ve never bought a subwoofer before then consider reading our buying considerations section where we go over the main features you should look out for. Every subwoofer is different and they offer their unique advantages. Understanding the buying factors to pay attention to allows you to make a straightforward buying decision. We came up with 10 subwoofers that are great for any home music setup. Each subwoofer has been carefully selected since we want our viewers to get the best products available. Also, we have created three price categories so that you can easily scroll through to the section that matches your budget. Each subwoofer has a rating on a scale of 1 to 5 so you can quickly see our overall rating without reading the product review. We hope you have as much fun reading this guide as we writing. Can produce loud vibrant bass, 4 legs prevents it from scratching surfaces. Average RMS of 150 watts, 4 legs prevents your floors from getting scratched. Wide frequency range of 23 Hz – 160 Hz, thunderous bass and stylish design. 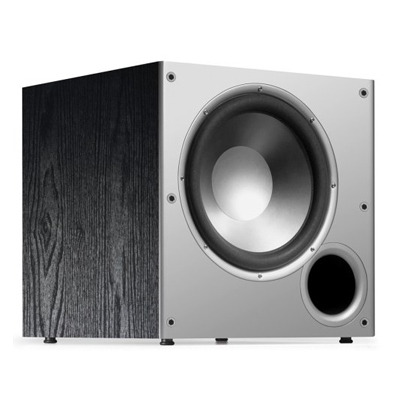 Frequency response: The frequency range determines how deep the audio will be, so if you love hard hitting bass then consider getting a subwoofer that has a low range of Hz. Power: The more power a subwoofer has the louder it can produce bass. Around 300 watts is a great as it will bring soothing bass that can easily fill up a room. However, if you want more earth shacking bass then you can get added wattage, but make sure that your amplifier or stereo can handle it. 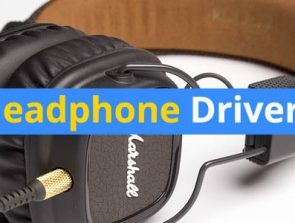 Drivers: The drivers used play a big part as they determine how good the audio will sound. A great way to know if the drivers are going to output impressive sounding music is by going with a well-known brand. That’s because they have years of research and development compared to other companies. Built-in EQ: A built-in EQ can be a major benefit as you can control the music yourself and make it sound the way you want it. So if you prefer bass boosted songs then this feature is a must. However, if you tune the subwoofer incorrectly then the lows can sound distorted and ruin the experience. Also, if the subwoofer you’re interested in doesn’t have a built-in EQ then don’t worry as you can tune the drivers by using the stereo. The speaker brand can tell you a lot as some brands offer consistent quality across all they subwoofers. Going with a more popular brand is almost always better because they have built a trustworthy company that has a following. You can check out online reviews to see if the subwoofer is worth the asking price, which allows you to figure out if you’ll like the subwoofer before it arrives. Also, most subwoofers have unboxing videos, which provide plenty of info that can be used to make an informed buying decision. However, going with a popular brand isn’t always the best option because smaller brands can offer comparable quality at a lower price. Before placing the order make sure to do your research to ensure the subwoofer will meet your requirements. It would be frustrating if your subwoofer breaks shortly after purchase, which is why you must look at the durability. Check out the materials that are used as this can tell you how long lasting the subwoofer will be. Some subwoofers use metal parts with a plastic shell, which helps ensure a long lasting product. In addition, we recommend purchasing a subwoofer with multiple years of warranty as this ensures that you will get a replacement in the event your subwoofer were to break down. However, in most cases you need to pay extra if you want a warranty deal that lasts for longer than 2 years. Bluetooth: Bluetooth is one of the easiest ways to connect your device to the subwoofer quickly. This method is convenient because all you need is a smartphone and a playlist of songs. 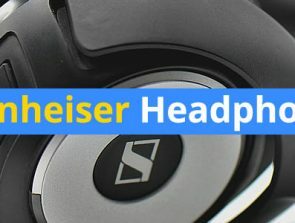 Make sure that the subwoofer uses the latest version of Bluetooth (4x+) as this ensures stable connections throughout the listening period. 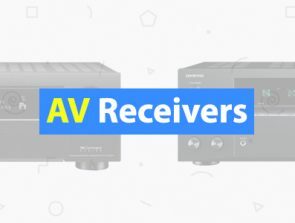 Stereo: Connecting with a stereo is one of the best ways as this means you can connect multiple speakers to one device. Also, depending on your stereo you can use multiple connection methods such as disks, SD cards, AUX, and Bluetooth. However, setting up the subwoofer to your stereo can be difficult if you’ve never done it before as you need to connect wires. Are you looking for the best budget subwoofers available, but are not satisfied with the options that have been presented to you? In this price category of under $100 we will show you the best subwoofers that are available to purchase right now. 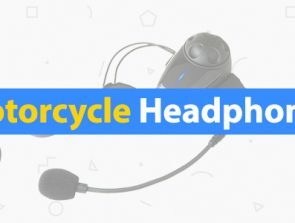 They offer excellent audio quality for such a low price that you won’t regret ordering them. Moreover, they utilize a wide frequency response that gives the audio more depth and lets you enjoy the music considerably more. In addition, setting up these speakers is extremely fast and can be done within minutes if you know what you’re doing. The Acoustic Audio PSW-8 Down Firing Powered Subwoofer is one of the best budget options as it offers powerful bass thanks to its 300 watts of strength. The lows can get so loud they exceed 97 dB, which at close range can make your body shake. Also, the drivers are faced downwards, which makes the bass more noticeable as the floor vibrates once you play at higher volumes. The subwoofer uses a wide frequency response of 26 Hz – 250 Hz so the audio has a lot more depth, since the speaker can play more notes. Also, you can control the frequency range as the drivers are easily tunable to your preferences. When buying this subwoofer you get a choice of driver size, so if you need more bass then consider the 12 inch option. The visual design is pretty basic, which is ideal if you don’t want distractions while watching movies. The dimensions of the woofer is 12.4” x 9.4” x 10.2” so it doesn’t take up much room and can be placed anywhere. Also, it has 4 legs underneath that hold the woofer up so it doesn’t scratch the floor and lets air freely pass through. With this subwoofer you’ll need to purchase extra RCA cables as they are not that long, which is an extra cost. Also, if you tune the speaker incorrectly your audio can sound bass heavy. In summarize, the Acoustic Audio PSW-8 Down Firing Powered Subwoofer is a great choice if you’re on a budget, since it can deliver excellent sounding lows at a relatively low price. The total power output is 300 watts, which is great if you love bass boosted beats as the subwoofer can handle them with ease. Also, the subwoofer doesn’t take up much room so you can place it anywhere and it has 4 legs so it won’t scratch surfaces. The Polk Audio PSW10 Powered Subwoofer uses a 10 inch driver that can deliver deep lows. The driver has been tuned well to produce excellent sounding bass that has depth thanks to the 80 Hz – 160 Hz frequency range. Also, the audio can get pretty loud as the power output is 100 watts and the volume exceeds 85 dB. In addition, the Klippel measurement technology allows it provide smoother bass so the audio doesn’t sound distorted. Also, setting up the speaker is quite fast as it requires only a few RCA cables and a stereo. 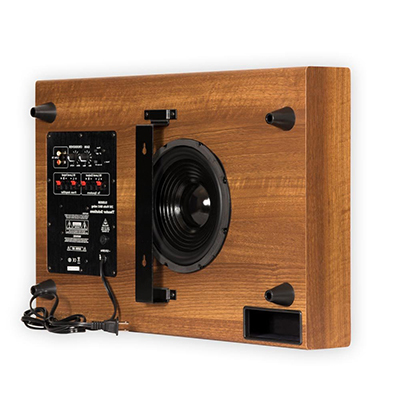 The visual style of the subwoofer is quite nice as it uses a wooden finish with a metal/plastic front. Underneath the subwoofer are 4 little legs that heighten the speaker and prevents it from scratching the floor. Compared to other options the power output isn’t that high, so for events such as parties you may want a more powerful subwoofer. Also, the speaker size is quite large so you must have a place where to put it. In conclusion, the Polk Audio PSW10 10-Inch Powered Subwoofer is a great choice as it uses multiple technologies to help the drivers produce clearer sound. The wide frequency range of 80 Hz – 160 Hz lets the subwoofer produce more depth in the audio, which results in an immersive experience. Also, the wooden finish on the sides make the device better looking and it goes with most home decors. Are you in search of the best subwoofers and have a budget of up to $200? Then you’re in luck as we have searched the marketplace and found the best options in this price range. Each of these subwoofers offers great lows that sound thunderous and can fill up a room with ease. In addition, they are straightforward to connect as all you need to do is plug in a few wires. The Polk Audio PSW111 Subwoofer uses an 8 inch driver that utilizes compression circuitry to limit distortion and improve audio quality. The total power of the woofer is 300 watts so the audio can get extremely loud. Also, the average RMS is 150 watts, which means the audio can remain loud throughout the listening period. In addition, the subwoofer features 4 legs that protect your floor from getting scratches. The black design of the woofer makes it difficult see in the dark so it doesn’t distract you when watching movies. Also, you can remove the front grill to reveal the drivers to see how they are working or remove dust. Moreover, the build quality of the Polk Audio PSW111 Subwoofer is excellent as it uses premium materials that are long lasting. Also, setting up the woofer is extremely fast as it uses RCA connectors, which are straightforward to plug in. This subwoofer cannot be returned if you don’t like it, so before ordering make sure to read online reviews and watch unboxing videos. Also, the visual design is not the best, so if you need something that plays audio and looks nice then consider some of our other options. In summary, the Polk Audio PSW111 Subwoofer is a great choice that has an average RMS of 150 watts. The total power is 300 watts, which means the audio can get ultra-loud and no distortion can be heard. That’s because the subwoofer uses compression circuitry that results in clearer audio. Also, there are 4 legs underneath the subwoofer that protects your floor from getting scratches. 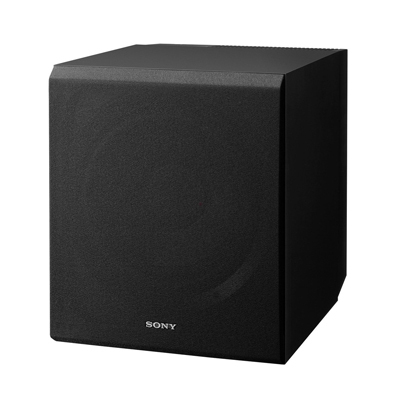 The Sony SACS9 Subwoofer can produce excellent lows thanks to the wide frequency response of 28-200 Hz. Therefore, when listening to music or watching films the audio will be dynamic and have more depth. Also, the total power of the subwoofer is 115 watts, which means that the audio can get ultra-loud and thanks to the well-tuned drivers the sounds don’t get distorted when playing at loud volumes. In addition, connecting this subwoofer is extremely easy and fast as it only uses an RCA cord. In case you find it difficult you have an instruction manual that will go over how to setup the woofer to a stereo or amplifier. Also, the speaker doesn’t weight much so you can quickly change the setup if you need to. Moreover, the Sony SACS9 10-Inch Active Subwoofer has a stylish finish using a black design that blends in with most contemporary interiors. The wood veneer also retains its shape well and doesn’t deteriorate over time. Furthermore, the compact design means that it doesn’t take up much space so you can place it pretty much anywhere in your home. The RCA cable isn’t that long so you’ll need to purchase a longer one if the subwoofer and stereo are too far apart. Also, the power output isn’t the loudest compared to other options, so if you require extremely loud music then look at our other woofers. In conclusion, the Sony SACS9 10-Inch Active Subwoofer uses a wide frequency response of 28-200 Hz, which means it can produce audio with depth. 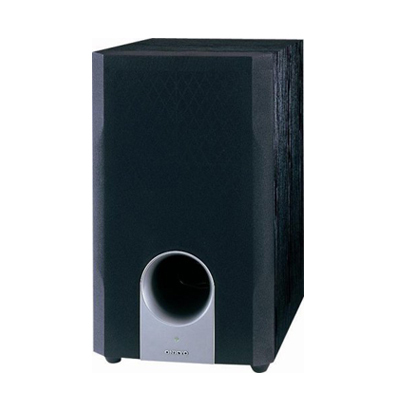 The style of the subwoofer is quite nice as it features a black design the goes with all home decors. Also, due to the compact design of the speaker you can place it pretty much anywhere. 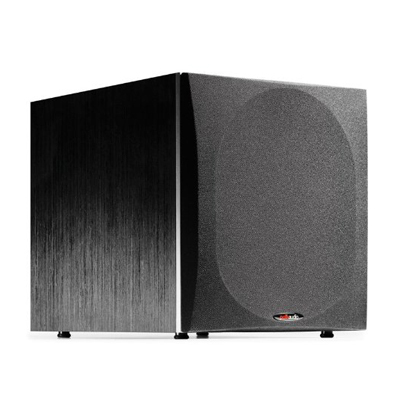 The Theater Solutions SUB8SM Subwoofer has a unique slim design that takes up little room thereby leaving space for other essential items. 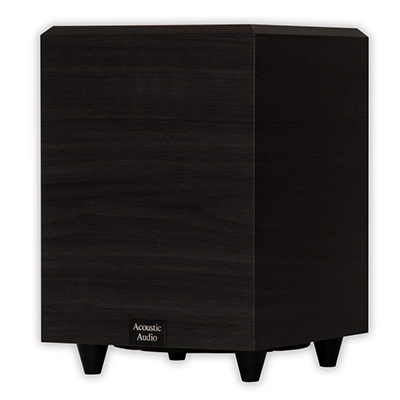 The subwoofer stands firmly on its built-in legs that prevents it from tipping over and doesn’t scratch surfaces. Also, due to its compact size you may think it doesn’t produce loud bass. In reality the audio is comparable to bigger subwoofers due to its 8 inch driver. Utilizing a wide frequency response of 35 Hz – 150 Hz the subwoofer can produce deep lows and make the audio sound more dynamic. The peak power output is 250 watts so the audio can get pretty loud, which means you can fill up a house with vibrant beats making it ideal for parties or movie nights. The connection method used is RCA cables so the audio is consistently high quality. Setting up the speaker is straightforward as you only need to connect the cables into the right inputs. However, if you find this confusing then don’t worry as there is an instruction manual included. Due to the slim design the parts used are going to be a lot smaller and therefore cost more as they must be made with more precision. Also, the lighter design can distract you when watching movies, which can get annoying. In summary, the Theater Solutions SUB8SM Slim Subwoofer is a great choice that doesn’t take up much room due to its design. The peak power output is 250 watts so you can enjoy room shaking bass and no distortion can be heard thanks to the well-tuned drivers. Also, the wide frequency response of 35 Hz – 150 Hz means that the audio will have more depth. Are you looking for the best subwoofer to complement your speaker system, but so far not had any luck? In this category of under $600 you will be presented with some of the best options the marketplace has to offer. You’ll find great bass that enhances the audio giving it more life, which makes movies and music sound a lot better. In addition, some of these subwoofers offer wireless 2.4 GHz connections so you don’t need to spend time connection wires to your stereo. However, make sure that your stereo is compatible with the subwoofer before ordering. ThePolk Audio PSW505 12-Inch Powered Subwoofer uses a real wood veneer design that makes the speaker look unique and stylish. The woofer has a front grill that protects the drivers inside and can be removed to reveal the 12 inch speaker. Also, it has 4 legs underneath the speaker so it doesn’t leave any scratches on the floor. The max power output is 300 watts, which means it can deliver audio extremely loudly. Also, thanks to the well-tuned drivers of the speaker the audio doesn’t sound distorted once you get to the really high volume levels. However, if you tune the subwoofer incorrectly the audio quality is drastically reduced, which is why we recommend watching a guide on how to setup your subwoofer. Connecting the subwoofer is extremely fast and only requires a few minutes of your time since you only need a couple of cables. The subwoofer is compatible with most devices such as TV’s and video monitors so you won’t need to purchase additional adaptors. Also, you get a 5 year warranty for the speaker that covers parts and a 3 year warranty that covers the subwoofer amplifier. The subwoofer is quite heavy weighing at 48 lbs so make sure you know where you’re going to put it as you don’t want to keep moving around your setup. Setting up the speaker can be confusing if you’ve never done it before so make sure to check out a guide. In conclusion, the Polk Audio PSW505 12-Inch Powered Subwoofer is an excellent option since it can output excellent lows that give the audio life. The frequency response is 23 Hz – 160 Hz, which means the bass has depth and can use a wide variety of notes. Also, you get a 5 year warranty that covers broken parts. 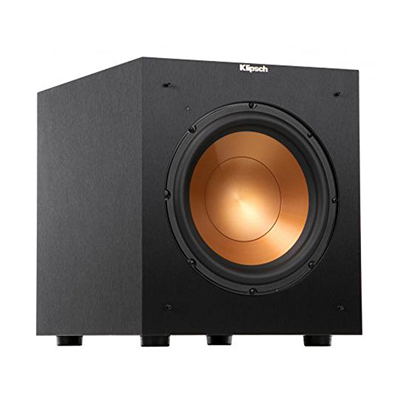 The Klipsch 12″ 400 Watts Wireless Subwoofer uses copper drivers that produce excellent bass that gives impact to your music. The wide frequency range of 29-120 Hz means the lows sound soothing, which results in added immersion. Therefore, when the bass drops during dramatic moments the subwoofer will give off room shaking lows that makes the audio more enjoyable. In addition, the maximum power output is 400 watts so the bass can be extremely loud and no distortion can be heard at any level. However, make sure that the subwoofer is tuned correctly with your stereo as some bass boosted beats can make the audio sound distorted. This subwoofer is wireless, which means you are not restricted by wire length. The connection method used is a 2.4 GHz hi-fi pre-paired transmitter so you don’t need a Bluetooth device to gain wireless control. The overall design of the speaker is quite nice and it has a removable grill that you can remove to reveal the driver. The subwoofer is quite heavy so carrying it around can get annoying, therefore make sure you have a place where to put it. Also, the speaker takes up a lot of space and due to its size putting it in the center of your setup can be difficult. You may need to place it on the side, but that’s problematic because the audio will not be balanced. In summary, the Klipsch 12″ 400 Watts Wireless Subwoofer is a premium choice that comes with a wide frequency response of 29-120 Hz. The maximum power output is 400 watts so the audio can get extremely loud. In addition, the subwoofer uses a wireless connection via the 2.4GHz transmitter. 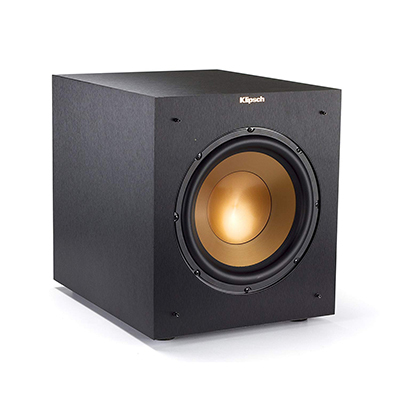 The Klipsch Reference R-10SW Subwoofer uses a powerful 10 inch copper spun front firing woofer that delivers lows extremely well. The bass produced by this subwoofer gives music and movies more life since when the bass drops dramatic moments become more enhanced. Also, if you believe the bass is too much then you can tune the speaker down to provide smoother lows. The overall power of this subwoofer is 300 watts, which means it can deliver ultra-violent bass that can make a room shake. When using the full power no distortion can be heard as the drivers have been tuned well. Also, setting up the speaker is super-fast as it uses inputs that are compatible with most receivers. In addition, the overall style of the subwoofer looks basic and nice, which is ideal since you don’t want it to distract you when watching films. The build quality is impressive and you can tell that this item is going to be long lasting and durable. Also, the front copper driver gives a unique look to the woofer as you can watch it move while it’s working. This subwoofer is not a budget option and to get the maximum out of this speaker you’ll need to purchase extra audio devices to take care of the highs. This means you’ll need to invest a lot of money into this setup so make sure you have the capital to do so. Furthermore, when using the full 300 watts of power it can become difficult to hear the vocals so you may need to tone the volume down on your subwoofer. In conclusion, the Klipsch Reference R-10SW Subwoofer is an excellent choice, which comes with greatly tuned drivers that deliver lows well. The 300 watts of power means that your room can be filled with bass and no distortion can be heard. The Klipsch R-10SWi 10″ Wireless Subwoofer uses advanced speaker drivers to put out soothing bass that gives life to audio. The woofer can fill up a room with earth shaking bass with ease as it uses 300 watts of power. When connected to a whole speaker system you’ll unlock the full potential of this subwoofer as the audio will sound lifelike. The connection method used is wireless as there is a 2.4 GHz pre-paired transmitter so you don’t have to spend time connecting wires. Connections are always stable unlike with Bluetooth as no other devices can interfere with the transmitted waves. Also, this means you can place this woofer anywhere in the room since it doesn’t have to be connected to your stereo directly. The visuals of the subwoofer look great as it features a black design with a copper finish on the driver. When in motion you can touch or look at the driver working, which gives a unique vibe to the music. The build quality is long lasting as it uses tough materials that feel nice when touching. Also, you can remove the front grill to get rid of any dust that has accumulated. However, make sure that your stereo has a 2.4 GHz connection because otherwise you won’t be able to connect wirelessly. Also, the device is quite heavy so carrying it from setup to setup can be a hassle. In summary, the Klipsch R-10SWi 10″ Wireless Subwoofer is a great choice since it features soaring bass that livens up the audio. The front grill is removable so you can see the woofer in operation or gain easy access if you need to remove dust. Also, you can connect wirelessly as the subwoofer features a 2.4 GHz transmitter. The Onkyo SKW204 Bass Reflex Powered Subwoofer can handle 230 watts of power to deliver you impactful bass. 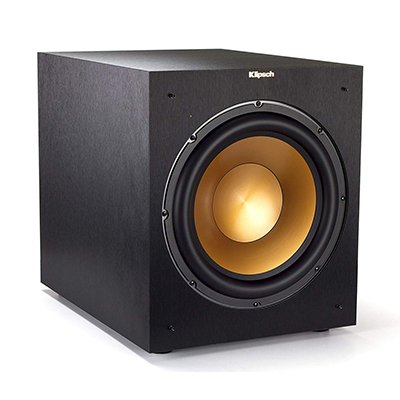 The bass from this subwoofer will liven up the audio of movies/songs creating a more enjoyable experience. The drivers used have been tuned correctly to output vibrant sounding lows that have no distortion – even at higher volumes. Connecting the subwoofer is extremely fast and only requires a few cables and a stereo. However, if you’ve never done it before we recommend you check out a guide so you don’t mix up the wires. The subwoofer also delivers 360 degree sound as it utilizes 7.1 surround sound technology, which makes it feel like you’re actually there. In addition, the woofer features a black wooden design that goes well with all home decors, and it won’t be distracting so you can focus on the movie in front of you. Also, the build quality feels nice when touching as it uses premium materials such as aluminum and plastic. This subwoofer takes up a lot of space so have a place for it beforehand. Also, connecting the woofer to a stereo can be confusing if you’ve never done it before and it will take time to setup. In conclusion, the Onkyo SKW204 Bass Reflex Powered Subwoofer is a decent choice if you want soothing bass that will enhance your audio. 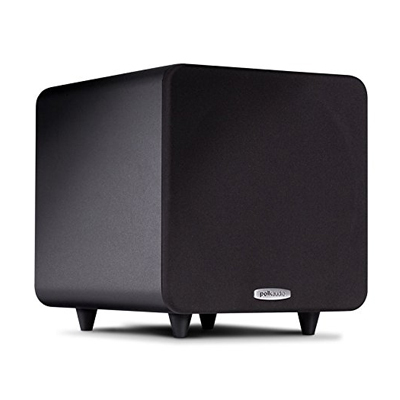 The woofer utilizes 7.1 surround sound technology that immerses you into the music or movie. Furthermore, the audio output can get extremely loud as the subwoofer has a power output of 230 watts.